Edamame can help in a host of diseases. They can be better than soy milk or tofu. Also known as baby soybean, edamame is smaller and firmer versions of soybeans. They are basically till in the pod and can be eaten boiled, shelled, or stir fried. Edamame is widely used in the cuisine of China, Japan, Korea, and Hawaii. These little things are big on health and can have the same or more health benefits like that of soy milk and tofu. However one must be careful not to eat too much of these, and they may cause reproductive problems if eaten in excess. 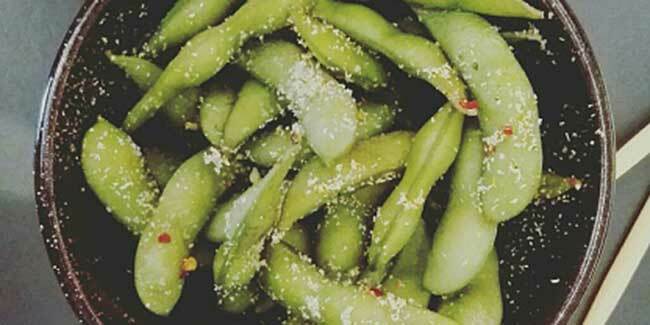 Edamame is, of course, low in fat and calories, while being high in protein and fibre. It is also very high on vitamins and minerals. These also have high estrogen content and can be problematic for those who have hormonal issues. The other nutrients include magnesium, manganese, phosphorus, thiamine, folate, and vitamin K. It is recommended that just half a cup of these little healthy seeds can be of great help to the body. So, why not? As we already know that consuming fruits and vegetables of all kinds can have a positive effect on health, and this holds true for edamame as well. Here are some benefits. Research has shown that the consumption of baby soybeans can be of great help. In fact, those who eat a healthy amount of edamame have been found to be at a lesser risk of suffering from age-related mental diseases. It is important to include baby soybeans at least thrice in a week in your diet, or even better four times every week. Yet another great benefit of consuming protein filled edamame is that can reduce levels of LDL cholesterol, which is commonly known as the bad cholesterol. Eating soy protein as a substitute for animal protein can decrease the risk of atherosclerosis, and also high blood pressure. The incidence of breast and as well as prostate cancer can be reduced to a large degree if baby soybeans are consumed in a healthy amount. The predominant isoflavone, known as genistein contains antioxidants, which can hinder the growth of cancer cells. By eating a safe amount of baby soybean, one can effectively stop the growth of tumours, and also play a lead role in stopping the development of breast cancer. Those suffering from type 2 diabetes run the chance of being affected by a sort of kidney disease, and the inclusion of edamame in diet can be of help here. This is because people suffering from type 2 diabetes tend to excrete excess amount of protein in the urine, and the consumption of soy protein, instead of animal protein is found to lesser the chances of protein excretion. Women who want to get pregnant should get more iron from natural sources such as, edamame in order to promote fertility. 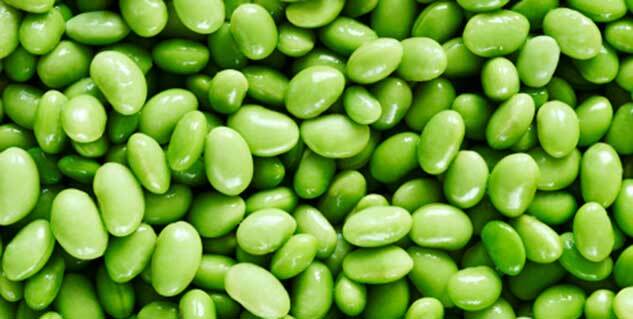 Pregnancy also demands adequate folic acid intake, which is also taken care of by edamame. Of course, it is better to take your doctor’s advice before eating edamame for any health benefits listed above.